The following post is sponsored by Fitfluential LLC on behalf of Nutrex Hawaii. What is Spirulina? This is a question I have been wondering about for a while now. While I knew it’s supposed to be super good for you, I never actually got the motivation to look it up. Lazy? No. Forgetful? Perhaps. I was thrilled when I finally got the opportunity to actually try spirulina and learn a little bit more about it. 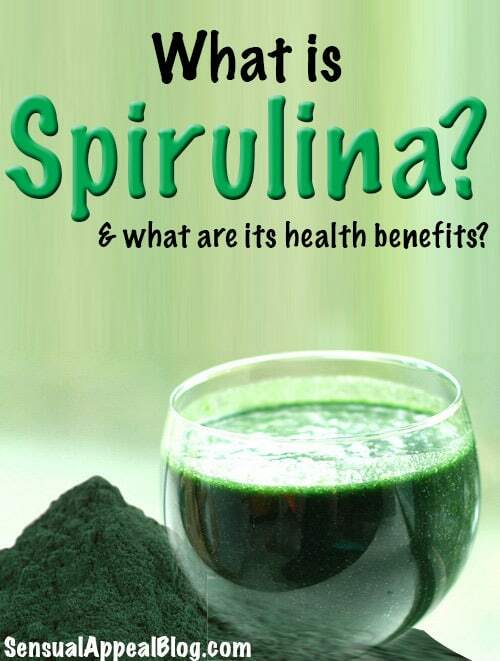 Spirulina is a dark green algae that grows on the surface of lakes. Many medical doctors, scientists, and nutrition experts consider it to be one of the world’s most powerful superfoods! Ancient Aztecs used to skim spirulina algae off the surface of lakes and dry it into cakes which serves as an important source of nutrients. Spirulina is amazingly high in protein – 60-65% protein! In comparison, meat and fish products are between 15-35% protein and beans re 6-11%. Spirulina is highly absorbable, far more than animal protein is. It also contains all 8 essential amino acids. contains Omega-3s, -6s, and -9s and is especially high in -3s. contains many other nutrients such as: vitamins B-1 (thiamine), B-2 (riboflavin), B-3 (nicotinamide), B-6 (pyridoxine), B-9 (folic acid), vitamin C, vitamin D, vitamin A and vitamin E. It is also a source of potassium, chromium, copper, magnesium, manganese, phosphorus, selenium, sodium, and zinc. How do the pills look like? Well, they are not very pleasant in taste and you have to take 6 of them. Since I want to prolong the time I use it, I only take 5. They are easy to swallow and they are best if taken with food. I take those with the Hawaiian Astaxanthin after breakfast that contained some fat in it. I guess only time will tell how I like them 🙂 But I’m liking them so far! Thank you so much for Nutrex Hawaii for letting me try them! Want to try for yourself? Use discount code FFSUMMER13 for 25% off – valid until 7/31/13. Have you ever tried Spirulina? What are you favorite ways to incoporate Spirulina into your life? Despite its quite weird taste, spirulina is one of my favorites together with wheat grass and sprouts. I mix a teaspoon of spirulina with some honey, plant infusion, yoghurt, anything which can make its taste better. I took both pills and powder, but the powder seems to be more efficient, in my opinion. Congratulations for your post, people need to learn about this incredible remedy. I will it try it the way you described and I bet it will be good – anything with honey is a winner in my book. I do have the powder as well so I will be sure to try it alternating with the pills. Hope to see you back here soon, Laura! I’ve tried Energy Bits which are Spirulina tablets, but I wasn’t a huge fan of their taste because you’re supposed to chew them. I do have Spirulina powder that I got once upon a time and I add it to my smoothies occasionally. I’d rather get the kind that you swallow without having to chew because the nutritional stats are impressive on these babies. True that, I did try the Energy Bits before and I didn’t even finish them, they were so gross. Thankfully you swallow these. I’ve never actually tried it but I have heard about it! Do you use it? What do you think? I use this same company\s powder, about 1/2-1 tsp in my smoothies. I find I don’t even notice the taste anymore…in fact I almost like it! almost 😉 I’m sure it is a matter of getting used to though. What are your favorite combinations to mask the flavor? My favourite combo is definitely banana, nut butter and some strawberries or raspberries, but mango and pineapple are lovely as well! 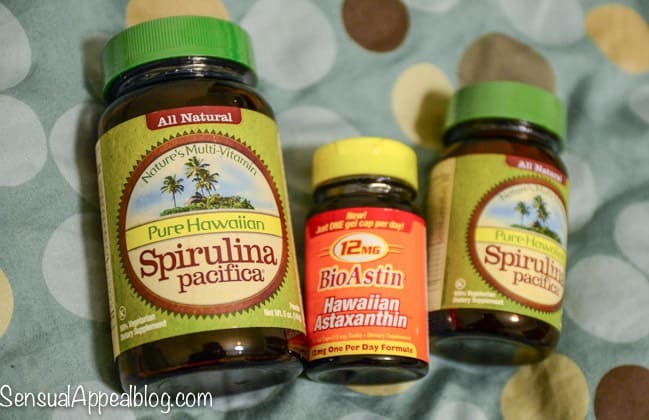 I have been using this brand of spirulina and the Bioastin together since May of this year. I tried them seperate but prefer them together. What a powerhouse! I feel great. I started this to make the DR. happy, trying to drop LDL. Will know in 4 weeks if it works. I have gone some time without and lost the feel great feeling. I highly recomend both. I use the pills because of the expense of powder. One thing. I discovered not to take Bioastin on an empty stomach. It should be taken with a fat. So I make sure it goes down with food and a T of organic unfiltered untoasted sesame oil. True! I always have it after breakfast. What happens if you take it on empty stomach, out of curiosity? It makes me nauseous if I take it alone, even if the oil is there. Ahh, I understand. Thank you for the heads up! Refreshing post. 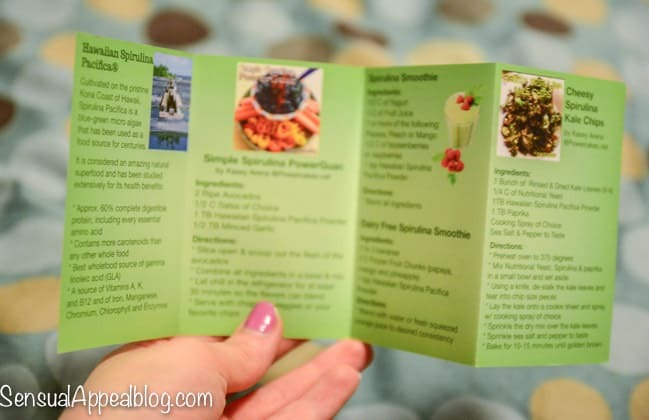 I am a big advocate of Spirulina, however, many bloggers tend to dilute the facts. I see you didn’t. A lot of people bang on about the amazing Vitamin B12 properties of spirulina, which is just not true. I think one of the point you are missing to highlight is the presence of high content of potassium in it. Its o the major role in regulating Na+-K+ pump and helps in reduction of sodium retention in body fluid, that can lead to high blood pressure. It’s necessary for contraction & relaxation of muscles too.